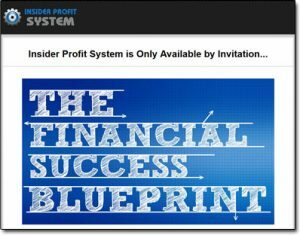 The Insider Profit System is an “invite only” program that has allegedly been put together by a guy named Jeff Davis & it claims to provide it’s members with a proven blueprint for financial success online. You’re led to believe that even as a total newbie you’ll be able to sign up to the program & begin making as much as $1,250 per day just by following 3 supposedly super simple steps of training… But is it actually legit or is the Insider Profit System a scam that’ll just have you spending money rather than actually making it? What Exactly Is The Insider Profit System? As I briefly touched on above the Insider Profit System is a 3 step training program that’s allegedly been put together by a guy named Jeff Davis & it claims that it can enable you to earn as much as $1,250 per day, even if you have no experience whatsoever at making money online. Jeff leads you to believe that you can just pretty much sign up & start making money on the very same day… But as you’ll come to find out in this review in reality that’s just not quite so true. But like I say you’ll soon see why in a moment when I show you how it all works. How Does The Insider Profit System Work? Basically the Insider Profit System is built around something called affiliate marketing & this is essentially what the “training” inside of Jeff’s program teaches you… But there are a handful of problems with it. And before I get onto the problems – just in case you don’t know, affiliate marketing basically involves promoting 3rd party products or services online in return for commissions. So for example you could sign up as an affiliate of Amazon & promote products from their website – then you’d get paid commissions if anybody happened to click through your promotions and purchase something. I’ll point out here that affiliate marketing itself is actually a very good & very profitable way to make money… In fact it’s the same way I personally make most of my money online & one of the best places to learn how to get started with it is a place called Wealthy Affiliate. I know you might be wondering how he’s doing this since his system is “free” – but basically he’s doing it by getting you to sign up to various different things that he’s affiliated with himself so that he can earn commissions from you. One of the things he asks you to sign up to is GetResponse – this will cost you $10/month, then he wants you to sign up to a ClickBank account too. He specifically stresses NOT to sign up for the free GetResponse account because it’s not good enough – and that if you already have an account he won’t be able to use it… But this is nonsense, like I say he just wants you to pay money so he can earn at your expense. However as you can probably now imagine that’s just nonsense too. I mean that’s bad enough as it is in my opinion (because it kinda resembles a pyramid scheme) – but to make matters worse the training that you’re provided with is just super basic & it pushes you into using paid advertising which will likely see you losing a lot of money. 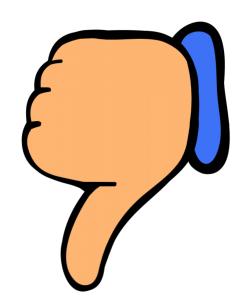 Don’t get me wrong – paid advertising is a good way of generating traffic online, but it requires a huge budget and even as an expert it still involves a lot of trial & error which can be extremely costly, so as a newbie you’ll just likely end up burning through your cash before you even manage to turn a profit. Free traffic is a much better method to start out with, that way you can make mistakes without it costing you anything & that’s why I recommend Wealthy Affiliate as a good place to learn as that’s exactly what they teach. My Verdict – Is The Insider Profit System a Scam? Well it’s not really a scam as such since you do get access to some training… However in my opinion it’s very misleading & as far as I’m concerned there’s absolutely no way you’ll make the kind of money Jeff promises you will. Like I say the reality is that the system is geared towards making Jeff wealthy, not the members & therefore as a result I feel that if you do sign up to it you’ll likely just find yourself disappointed with what you receive. If you really want to get a good start with affiliate marketing then like I mentioned earlier in this review you should just go with a tried & tested program that’s proven to help people succeed like Wealthy Affiliate instead. So overall as you can imagine I won’t be recommending Jeff’s Insider Profit System because I just don’t feel like you’ll get any real value from it… Instead you’ll probably just end up spending more money through it than you ever manage to make back. Fast Cash Challenge Review – Binary Options Scam?